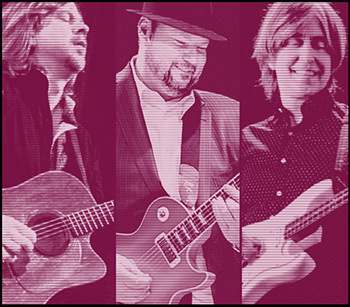 Texas music legends Christopher Cross, Eric Johnson, and Monte Montgomery will come together for one night only, in a concert benefitting People’s Community Clinic. Christopher Cross is the only artist in Grammy history to win all Big Four awards in a single night for his debut album. Eric Johnson’s album, Ah Via Musicom, is certified platinum, and his single “Cliffs of Dover” won the Grammy Award for Best Rock Instrumental Performance. Monte Montgomery won the Best Acoustic Guitar Player Award at the The Austin Chronicle’s Austin Music Awards seven years in a row. Enjoy this rare, star-studded Austin music experience at the historic Paramount Theatre, and help bring health care to Central Texas families in need. Presented by Keller Williams Realty.